Hey, I actually made this! Pray tell, what is it you say? 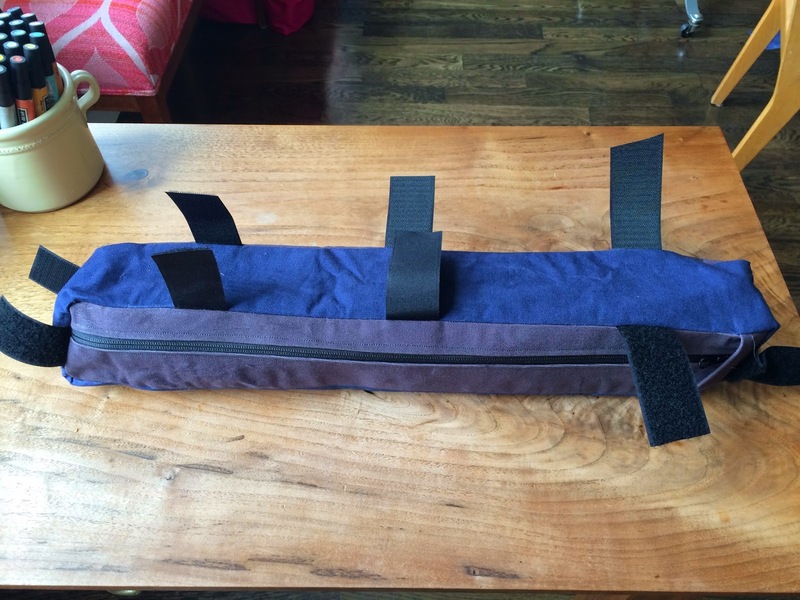 This my friends is a top tube mounted bike bag (called a tangle bag) which I made for my older guy's bike trek from Seattle to San Francisco. I used this tutorial for guidance, but basically this bag's construction is like a box pillow set on its side, with the zipper on the face, rather than the side. 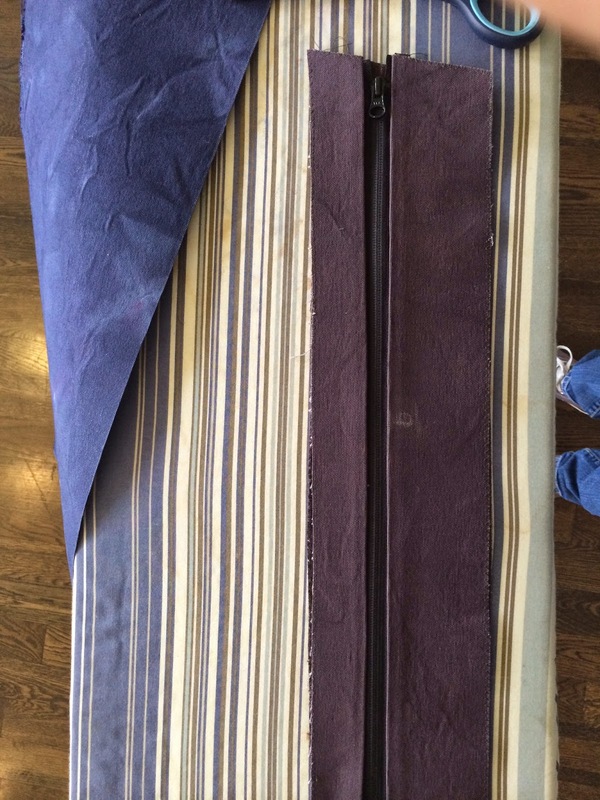 I used the stiffest canvas I could find, which was natural and required dyeing. One lesson I learned is that canvas really shrinks so dye first and then cut. I used black, which came out looking kind of purplish in these photos but in reality is faded grayish-black. I used contrasting blue for the edge piece. 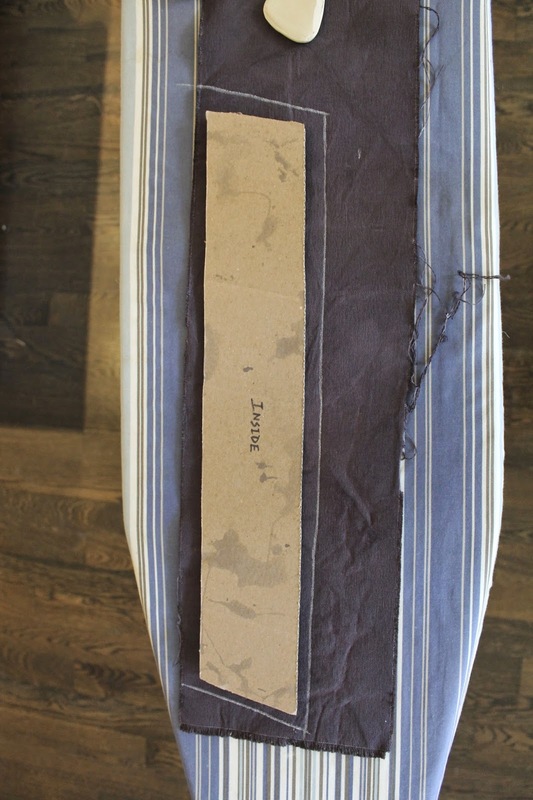 Make a cardboard template that fits the dimensions of the bike and cut with a 1/2" seam allowance. 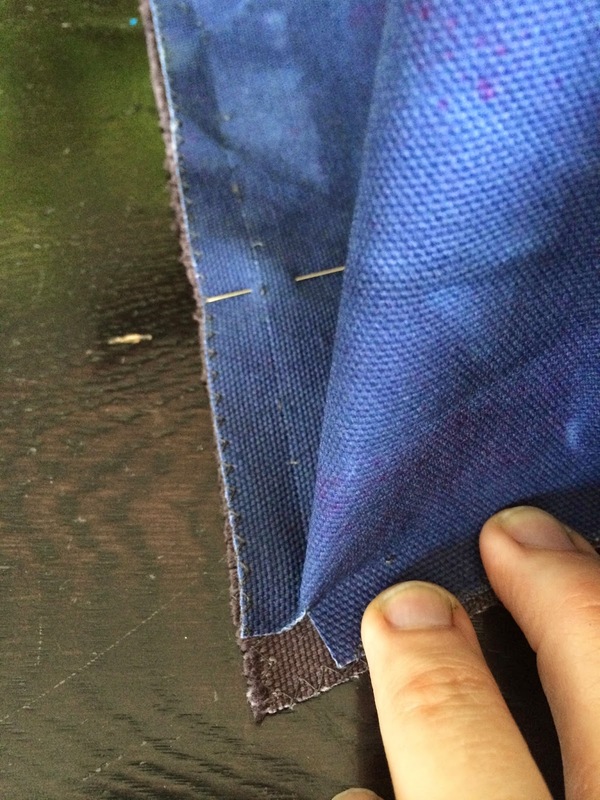 Finish the cut edges with a zigzag stitch and mark inside and outside of both pieces then determine zipper placement. Be sure to place the zipper high on the bag so contents don't fall out when opening. Cut fabric along zipper line. Use the non-zipper template piece as a size guide, place the zipper at the correct height and the cut two pieces on either side of it. Fold over fabric edges to be sewn to zipper and press. Here, the lost width caused by the folds is made up by the width of the zipper. Use a zipper that is longer than the templates to make this step easier, just remember to sew a stop on the bottom on the zipper later. This is how it should look all aligned prior to pinning and sewing. 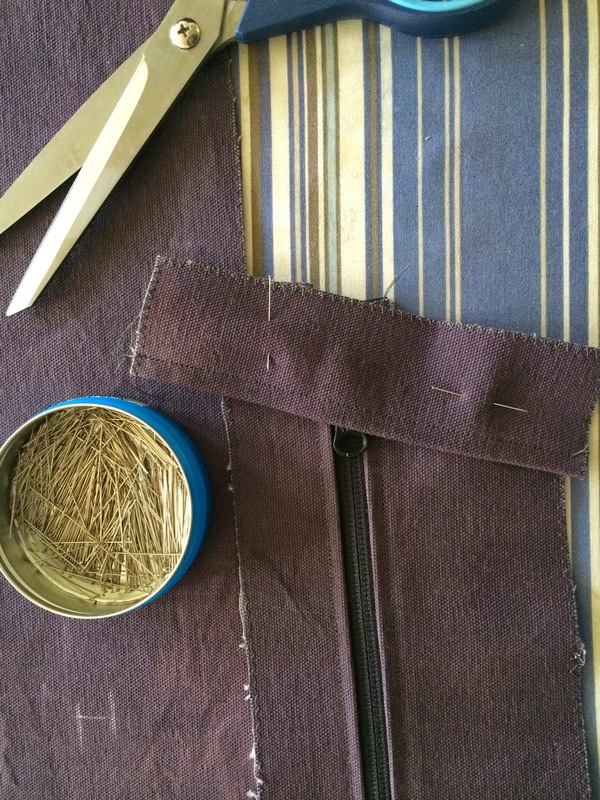 Add a flap at the top of the zipper for tidiness and to help with waterproofing. I used a scrap piece and eyeballed it for placement and then trimmed the excess fabric after. 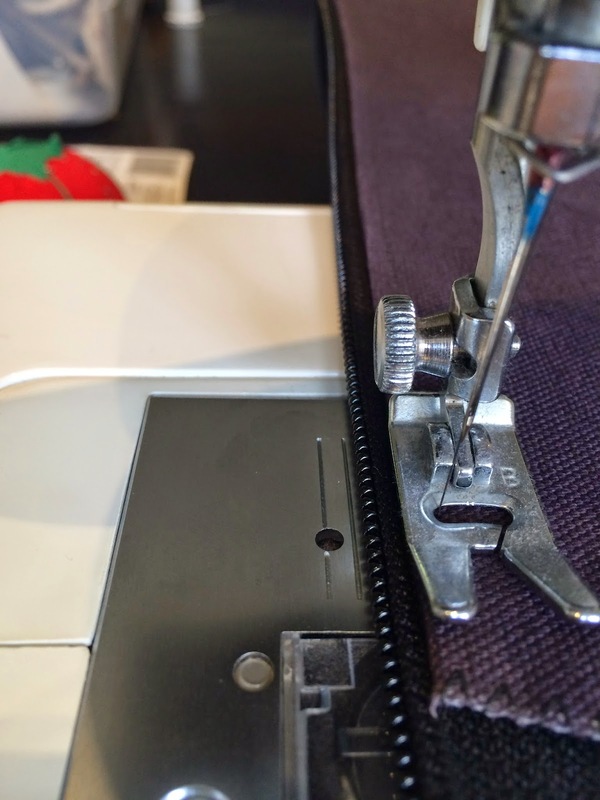 Here's the tricky part… Sewing the panel that connects the front and back pieces. The finished width of this panel for my project was 3" -which is the maximum width it could be without the risk that Ethan's knees would bump it when riding. I determined the length of this strip by adding up the perimeter of the back template and adding a little allowance for a folded, overlapped end. 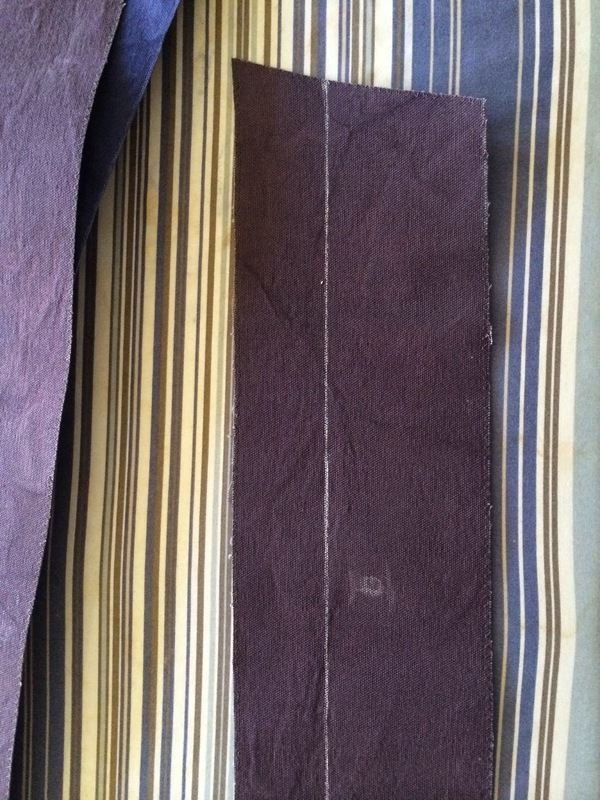 I sewed the strip together, making a loop, before I sewed it to the back and then front piece. 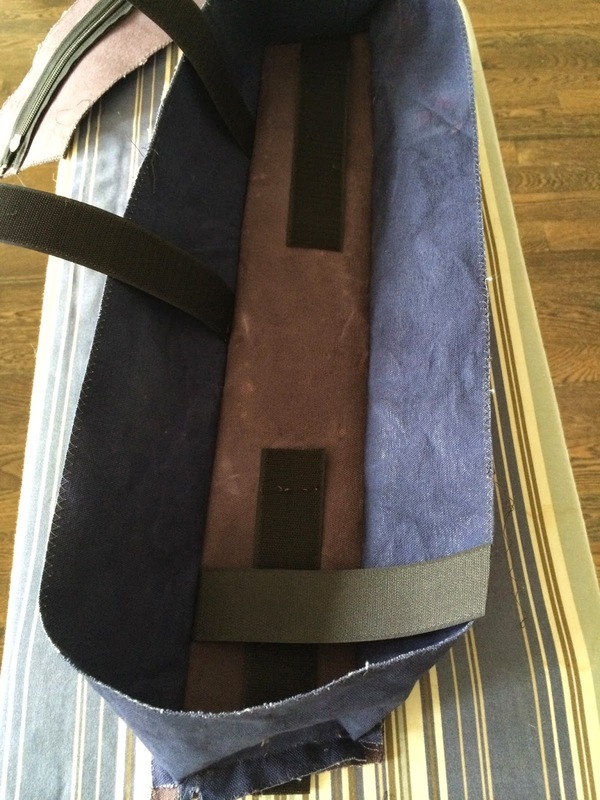 As with a box pillow, work with the bag inside out. The corners were tricky because of the stiffness of the fabric. I found that cutting a relief slit at the corner helped to maneuver the fabric. The velcro stripes which secure the bag to the bike are added at this stage of sewing. I had a hard time wrapping my mind around what went where and connected to who at this point but did manage to get it right the first time :) Three strips for the top (6 in total with the pairs) and one for each end (2 pairs). Some views of the velcro after it's been sewn in. I sewed the strips in first and then trimmed them to the proper length after fitting it to the bike. Here's how the velcro wraps around the top, head and seat tubes. The bag gets waterproofed with wax. 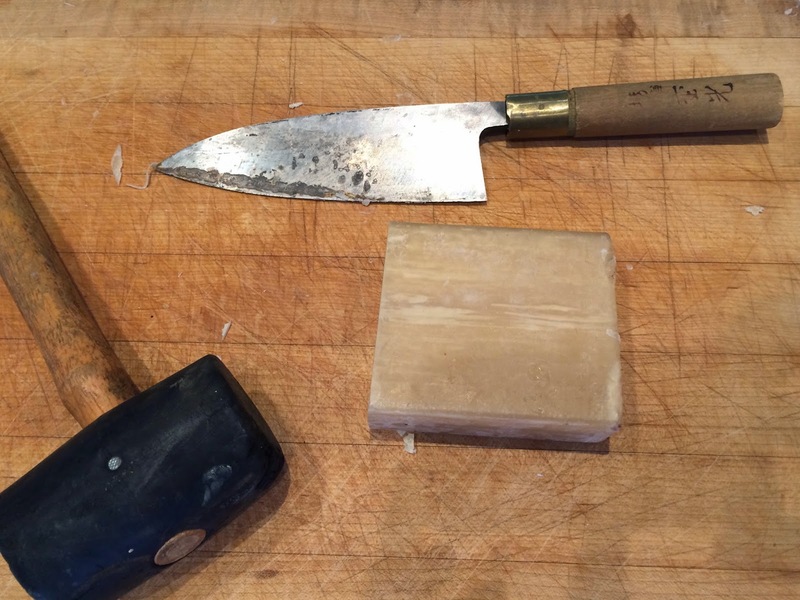 I had this chunk of beeswax from another project which Ethan cut and melted in a double boiler. (Take extra care melting wax -it's super flammable, duh). This is sort of a two-man job at this point. Ethan brushed on the wax (use a disposable, natural bristle brush) while I heated it with a blow dryer. 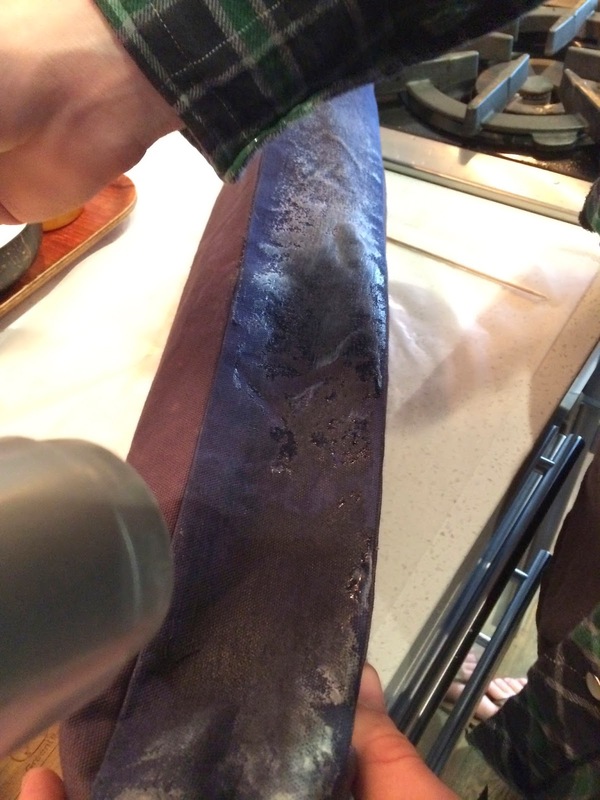 The melted wax absorbs into the fabric and disappears. This project did test my sewing skills but was very appreciated by Ethan and looks tre professional. Love that bag! And I am sure Ethan is very please with it!